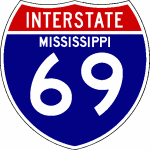 This page includes a summary of progress on all 32 I-69 sections of independent utility nationwide. More detailed commentary on each segment can be found by following the links in the first column. Note that “Estimated Completion” refers to when the route is likely to be open at Interstate standards and may partially depend on particular routing decisions and the availability of funding.